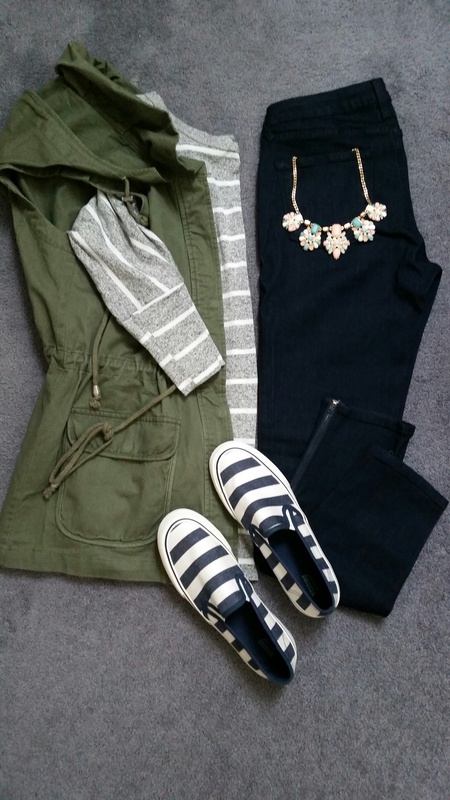 After putting this together I realized everything (except the shoes) came from Stitch Fix! I love (love, love) this utility vest, so I had to do this challenge. Although it’s still humid here, I went for a look I can wear when it cools down. The striped top is super soft and easy to wear. I love the ankle zipper detail on the skinny jeans. Since this is technically my only real statement necklace, it’s usually on repeat in these outfits! Finally, I scored the shoes at Target last month for $8.50 – boom! Do you follow the utility vest/jacket trend?